Every family is sure that keeping their house clean is one of the most essential and time-consuming paragraphs in their schedule. With today’s frantic pace of life it’s hard to find time for household chores, and we have to cut our free time to fulfill them. It means that we will hardly afford a weekend trip, because on the weekdays there is almost no free time and no power to dedicate to tidying up your house. The other option that comes to house owner’s mind is to hire a maid to clean up your house, but how to find a trusty and a professional one? Crystal House Cleaning Company has developed its maid cleaning services for years to fit every customer’s expectations. It was hard, but today we can offer you the best maid services in Washington Area, with guaranteed quality and convenience. Crystal Cleaning is always aware of what client wants, because the needs of a family are very familiar to us. We’ve been working in cleaning services field for many years and we know, how to make maid cleaning perfect! Our residential maid cleaning service is provided to any family that has a need of regular house cleaning. 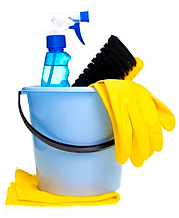 Our employees are professional cleaners, who are also friendly and very responsible. Those specialists will come to your house to help you fight the lack of time and dirt in your apartment. Thorough and consistent cleaning, washing and other household chores that our staff can do will let you free from the constant concerns about your home state. You will always come to the shiny and tidy house, where you can spend your free time in any way you want. It sounds like a fiction, but trust the experience of many families who have ordered our maid services before! Their expectations were exceeded by the quality of Crystal House Cleaning maid services. Crystal Cleaning offers its maid cleaning services at very affordable prices, letting its customers to enjoy cleanliness and order in their houses at the highest efficiency rate, because everyone deserves having free time and cozy home. We are professionals, and that lets us reduce our costs, helping you to save more on the most affordable maid cleaning in the Washington Area. Ordering our services is the best option for those, who want to keep their house thoroughly clean and tidy, putting low to no effort and less money into it!